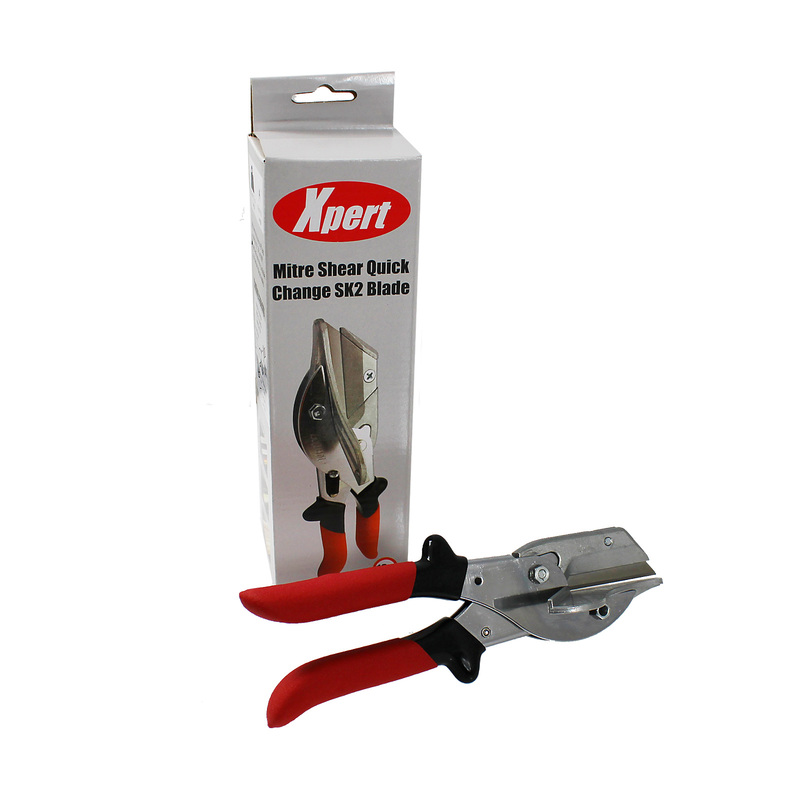 Product information "Xpert Universal SK2 Mitre Shear"
Features quick change utility knife blade! Quick, clean precise cuts of rubber, plastic and strip wood. 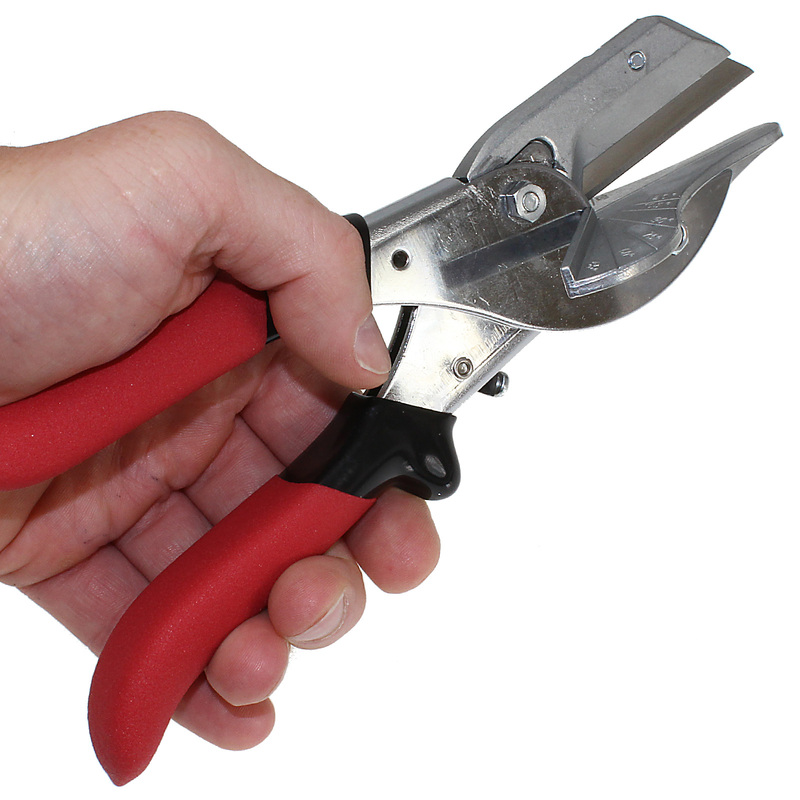 Easy-to-use shears with quick change utility knife blade. 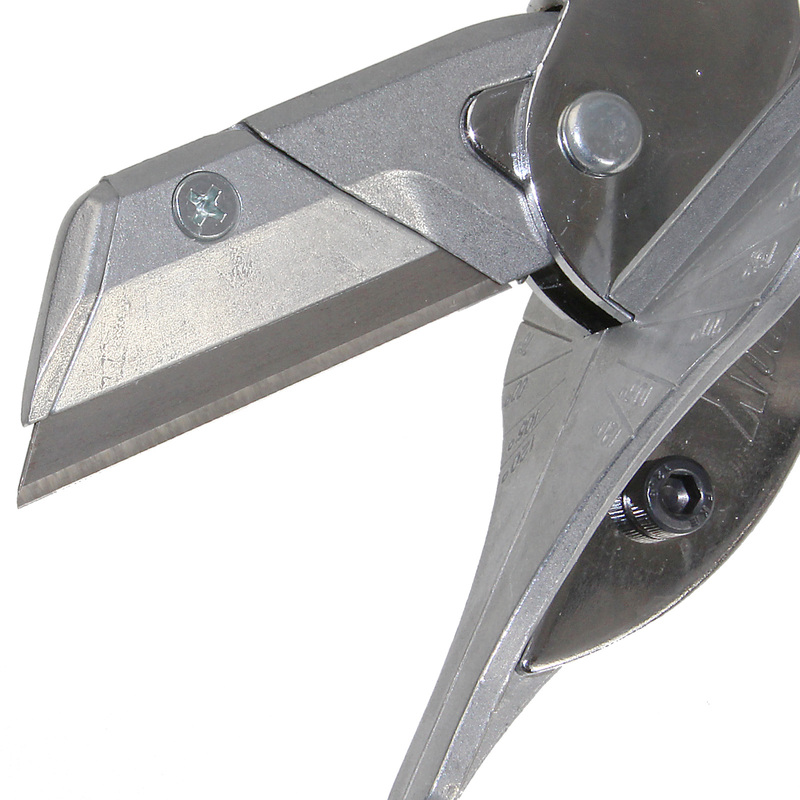 Designed with a broad anvil base plate to cut against, the mitre shear simplifies the cutting of flexible materials (such as window and door seals, decorative trims, sealing strips and battens) which is why it is becoming an invaluable tool for the uPVC window, conservatory and roofline industry. Did you know? SK2 blades can be replaced quickly and easily if they become blunt. Just release the retaining screw and replace with a new standard utility knife blade. Replacement base plates (GKT03106) are available if required. Application Cutting of rubber, plastic, leather and strip wood. 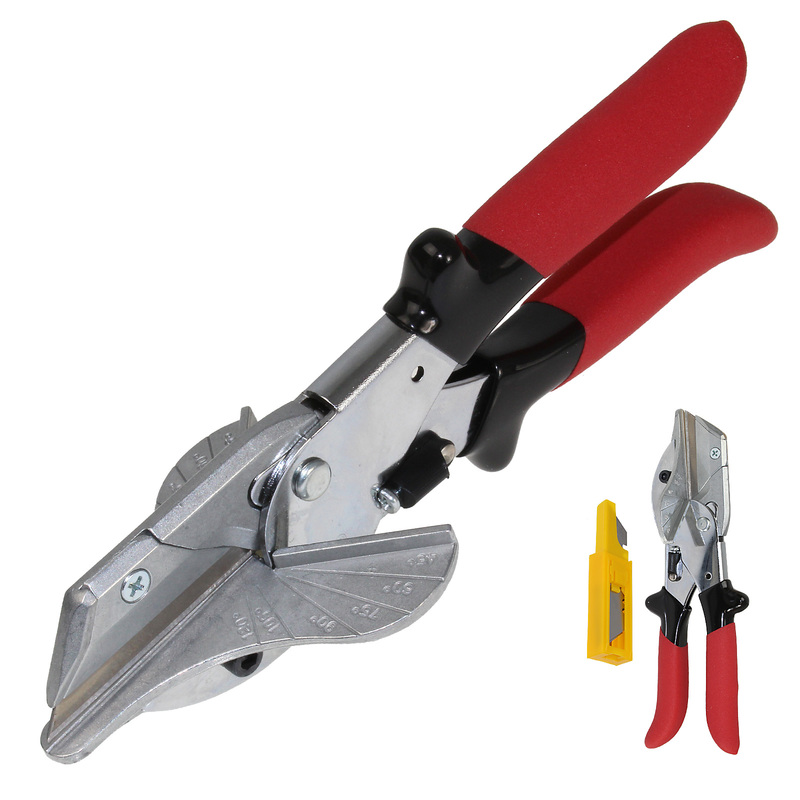 The mitre shear is fitted with a flip latch that locks the jaws closed when not in use for safety and to protect the blade. 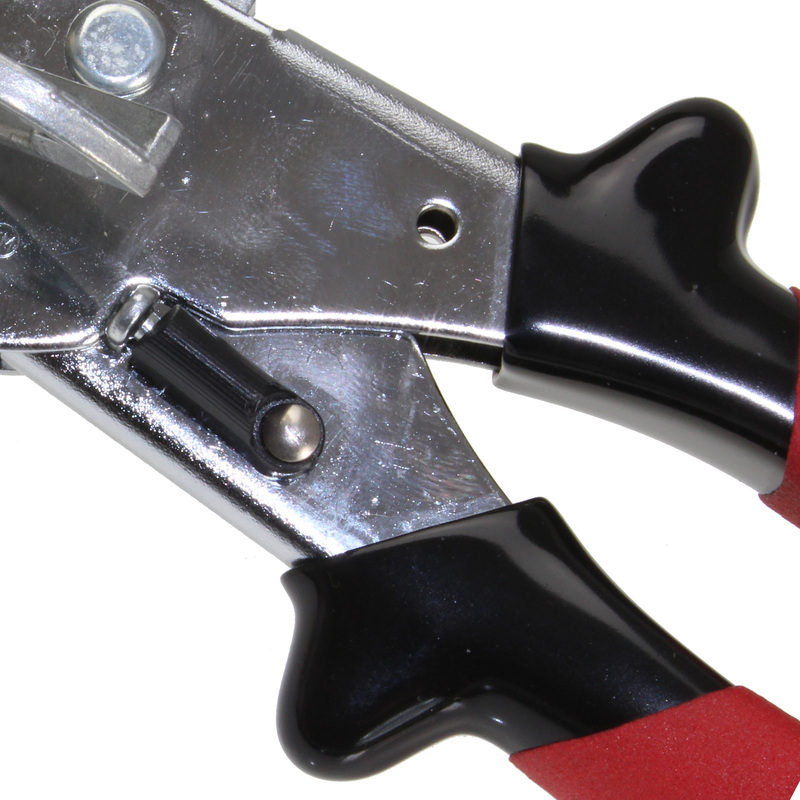 To use, just release the jaws by flipping the safety latch and place the item to be cut on the base plate. Just squeeze the handles to cut. Remember to use the angles marked into the base plate for quick and accurate cuts from 45° to 90°. Avoid overloading the cutters to maximise life of the product. 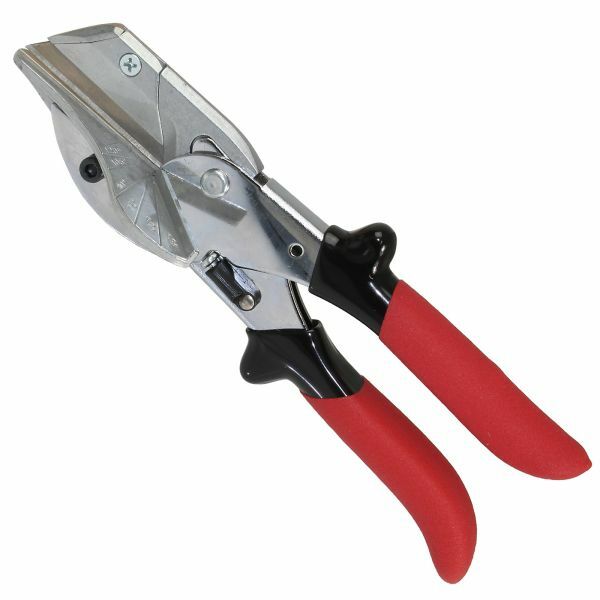 Related links to "Xpert Universal SK2 Mitre Shear"
Customer review for "Xpert Universal SK2 Mitre Shear"